Before I start this series, I wanted to give you some background. Eight years ago, after I had served as a pastor for twelve years, C.J. Mahaney invited me to assume the new role of â€œDirector of Worship Developmentâ€ for Sovereign Grace Ministries. One of my assignments was to study and train others in the practicals of biblical worship, particularly as it relates to music. As I studied Scripture and read books like Engaging with God by David Peterson and Adoration and Action, ed. by D. A. Carson, I quickly realized that the Bible, especially the New Testament, didnâ€™t give much space to my role as a worship leader. None, to be exact. The more I read, the more I felt I was reading myself out of a job. Thereâ€™s no question that the role of the worship leader has been exaggerated in recent decades. Some pastors give 1/3 to 1/2 of their meeting to singing, led by a musician who has little to no theological training. Gordon MacDonald comments, â€œFor many young people choosing a church, worship leaders have become a more important factor than preachers. Mediocre preaching may be tolerated, but an inept worship leader can sink things fast.â€ (Gordon MacDonald, To Find a Worship Leader, Leadership Journal, Spring 2002) In addition, the rise of â€œworship artistsâ€ has intensified the often unhelpful connection between pop music culture and congregational worship. However, in spite of the all the pitfalls and abuses, musical leadership is modeled in the Old Testament (1 Chron. 15:22 and many Psalms) and can be an expression of wise pastoral care in the local church. Congregations can be taught, pastored, and led as they sing Godâ€™s praise. In fact, a pastor is the ideal candidate for leading congregational singing. But in many churches, thatâ€™s just not possible. Pastors are put in the position of finding someone to â€œlead worship.â€ But who are they looking for, and what is that person's function? I donâ€™t believe any of the above statements are true. Anyone who seeks to encourage others to give praise and honor to God can be referred to broadly as a â€œworship leader.â€ While in Scripture praising God often involves music, it can happen without it as well. Worship leaders enter Godâ€™s presence the same way that every other saved sinner does â€“ through the substitutionary sacrifice of Jesus Christ. Finally, as I mentioned yesterday, while aspects of the worship leader role can be deduced from Scripture, there are no requirements that we have one. So why am I doing this series on worship leaders? Many churches have been caught up in or influenced by the â€œworship phenomenonâ€ of recent decades. People under thirty (and Iâ€™m not one of them by a long shot) have no memory of a time when churches didnâ€™t have worship leaders. Whenever a church position or title has no specific biblical warrant (childrenâ€™s ministry teachers, ushers, youth ministers, sound technicians, for example), itâ€™s wise to develop a biblical understanding of it, and make sure that itâ€™s fulfilling Godâ€™s purpose for leadership in the church, especially if it's as widely popular as the term "worship leader." Actually, I think a church can get along fine without a â€œworship leader.â€ On the other hand, when seen as a pastoral/teaching role, I think it can have great benefit for a church. As far as using the term "worship leader" in the title - While I prefer terms like â€œmusic pastorâ€ or â€œcongregational worship leader,â€ I decided to use the term â€œworship leaderâ€ simply because most people can identify with it. I'm aware that some have voiced strong feelings against using the title. Don Carson shared this in an interview with Tony Payne, although I heard him say something similar in a class I once took from him. Whatever name you choose to give it, I hope this series will give you a biblical lens to look at this role through. and seeking to live all of life for the glory of God. If Iâ€™m in front of a group, Iâ€™m leading. Whether itâ€™s through verbal contributions, facial expressions, or bodily posture, people are following me. That raises some questions. What am I leading people to? Am I aware that Iâ€™m being followed? Am I doing anything to make my leadership fruitful? Romans 12:8 says leaders must lead with zeal (ESV), or govern diligently (NIV). We should never think that we can lead people to praise God without any thought or preparation. To be effective, a leader must know where heâ€™s going, how to get there, and how to take others along with him. That kind of leadership requires intentional effort and consistent faithfulness. While God may relate to us in different ways at different times, He is not hiding from us, waiting to see if weâ€™ll find the right combination to unlock His blessing, power, and presence. Worship in spirit and truth isnâ€™t something weâ€™re waiting to have â€œhappenâ€ to us, but something we give to God. God can at any moment choose to reveal His presence in our midst, but He has identified specific actions and attitudes that glorify Him, and to which He generally responds. Critical words, for example, quench the Spirit, while praise invites His activity and involvement. We reap what we sow. When we moved into our house eight years ago our lawn was non-existent. We were surrounded by dirt. For five years I aerated, planted seed, fertilized, and waited. During that time, an amazing thing happened. Grass grew. Despite my poor horticultural talents, I reaped what I sowed. We will reap what we sow when we lead people to worship God as well. If we sow to musical experiences, weâ€™ll reap a desire for better sounds, cooler progressions, and more creative arrangements. If we sow to feelings, weâ€™ll reap meetings driven by the pursuit of emotional highs. On the other hand, if we want people to glorify God, we must sow to His glory. We must paint a compelling, attractive, grand, biblical picture of our great God and Savior. In order to do that, we need the power of Godâ€™s Spirit. Thatâ€™s the topic tomorrow. Here's the next part of my proposed definition of a worship leader. An effective corporate worship leader is aided and led by the Holy Spirit. But what does it mean for a worship leader to be aided and led by the Holy Spirit? Charismatics and non-charismatics (or continuationists and cessationists) might disagree on the specifics. At the very least it means that we worship the Holy Spirit as God, the third Person of the Trinity. But it also means that as we gather to worship God, the Holy Spirit fulfills His normal roles of illuminating, helping, strengthening, comforting, leading, making us aware of Godâ€™s presence, and revealing Christ and Him crucified. Practically, I think that means at least three things. In other words, music doesnâ€™t transform us; Godâ€™s Spirit working through His Word does. God is honored when we humbly ask His Spirit to work in our hearts as we meet to exalt Him. Thatâ€™s not to say that God isnâ€™t already present by His Spirit when we gather. Weâ€™re just asking Him to make us more deeply aware of both His presence and His activity in our lives. Second, having asked the Holy Spirit to work in our midst, we need to expect His involvement. That involves listening for His direction, even if our plan is â€œair-tight.â€ Certainly, we should be listening for the Spirit as we plan for a meeting. I think this is an area we often overlook â€“ prayer during planning. But does the Holy Spirit stop speaking to us when we meet? Thatâ€™s not the impression we get from the Corinthian church in 1 Corinthians 12-14. Despite their excessive esteem of the â€œspectacularâ€ gifts of the Spirit, Paul never tells the Corinthians to stop expecting the Holy Spirit to reveal Godâ€™s presence in various ways during a meeting. Neither should we. What might the Holy Spirit â€œsayâ€ to us? We might feel led to emphasize a certain line from a song or repeat a verse that draws attention to a relevant theme. The Spirit might bring to mind a particular need or a reason to celebrate. He might direct us to a Scripture we hadnâ€™t previously thought of including. There doesnâ€™t have to be anything mystical or â€œspookyâ€ about the Holy Spirit leading us in times of corporate praise. Finally, biblical worship means that we respond to what we sense the Spirit is saying or doing. If we have asked for Godâ€™s active presence, and are listening for the Spiritâ€™s leading, it should be evident through our faith-filled obedience that He really is working in our midst. That means that we might spontaneously pray for those parents who have a rebellious older child. Thatâ€™s exactly what we did in one of our meetings this past Sunday at Covenant Life. Whatever we believe about the availability of the gift of prophecy today, 1 Corinthians 14 implies that we should expect the Spirit to speak to us through spontaneous expressions of encouragement, admonition, and instruction when we gather. How that looks will depend on your theological position, the size of your church, the maturity of your people, and a number of other factors. But certainly, a leader who is committed to honoring God will seek to follow the Spiritâ€™s leading in times of corporate worship. Of course, the end of being led and aided by the Spirit is to bring honor to the Lamb who was slain. But before we go to that part of the definition, Iâ€™ll share some thoughts on using music and the Word. Tomorrow. We've almost reached the place where I talk about what a corporate worship leader is actually supposed to be doing. But not quite. Thereâ€™s one more thing I want to say about the tools we use to lead congregational worship. Skill has been defined as the â€œthe ability to do something well.â€ With all the benefits of the mass outpouring of worship songs in the past decade, there have been some down sides. One is the belief that a sincere heart, a guitar, and a knowledge of three chords qualifies someone to lead worship in a church. 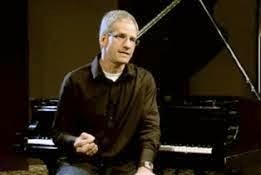 Fortunately, more and more churches are realizing that it takes skill to put music and biblical truth together in such a way that people actually worship God rather than the leader, the music, themselves, or other idols. That skill may come from natural gifting, training, or experience; but itâ€™s an important part of what a worship leader does. Combines biblical truth with music. Worship involves all of life, to be sure. We can worship God when we evangelize, care for our children, serve a neighbor, or obey the traffic laws. But God wants at least some of praise to be musical. Have you ever wondered why? I have. And Iâ€™ve realized that if I use music in corporate praise without understanding God's purpose for it, Iâ€™ll be prone to misuse it. Even worse, God wonâ€™t be glorified by sincere, but misguided, attempts. Music doesnâ€™t sanctify or morally change us. Again, that is the work of Godâ€™s Spirit working through His word. Music doesnâ€™t preach propositional truth to us, and has no power to save us. Apart from lyrics or a surrounding context, music is a â€œtruth-lessâ€ form of communication. By that I mean that while music affects us in many ways (which I'll address later), it can never accurately articulate realities like substitutionary atonement or the relationship of the Father and the Son on its own. Next week, Iâ€™ll talk about how I think God intends for music to function as we lead people to praise Him. Thanks for reading. If a skillful worship leader skillfully combines biblical truth and music, what part does music play? Why is God so concerned that we use music to worship Him? * How much music is too much? * Should music be universal or localized? * Should music support elements of the liturgy (e.g., the Gloria) or consist of stand-alone songs? * What is the best instrumental accompaniment (if there should be any at all)? * What do we mean by the BEST music? Are we speaking theologically, emotionally, pragmatically, aesthetically, or historically? * Should songs be grouped together in one portion of the meeting, or interspersed with other elements? * What is the place of choirs? Of soloists? There have been numerous people throughout history who were convinced God had answered these questions. I don't think God has been clear as we'd like Him to be. There's a good reason the canon was completed before recording was invented. Understanding His will in these areas requires wisdom, discernment, patience, and a continual dependence on His Spirit to lead us. What God has been clear on is the primacy of congregational song. The few references to instrumental worship (Ps. 33:2-3, Ps. 150) are far outweighed by the number of Scriptures inviting us to sing Godâ€™s praises. But why do we sing? Let me suggest three reasons. We sing to remember Godâ€™s word. We sing to respond to Godâ€™s grace. We sing to reflect Godâ€™s glory. In the next few days, I want to spend some time developing each of these thoughts. If we understand why we sing, weâ€™ll be able to lead others more effectively. It would be natural to assume that we sing because music affects our emotions. But in congregational worship, music is a servant to words. From the time Adam and Eve disobeyed God and ate the forbidden fruit, Godâ€™s Word has always been central to the worship of God. Godâ€™s Ten Words were placed in the center of Israelâ€™s worship. (1 Kings 8:9) The longest book in the Bible is a collection of words set to music. Revivals in Israelâ€™s history revival broke out when Godâ€™s Word was remembered and obeyed. In the New Covenant, the living Word of God is both our means of access to God and the object of our worship. Paul instructs us in Colossians 3:16: â€œLet the word of Christ dwell in you richly, teaching and admonishing one another in all wisdom, singing psalms and hymns and spiritual songs, with thankfulness in your hearts to God.â€ The stunning hymns of worship in Revelation continue to highlight the importance of words in worshipping God. We remember what we sing. And thereâ€™s nothing more important to remember than Godâ€™s Word. The feelings that music produces will fade, but the living and active Word of God will continue to work in our hearts, renew our minds, and strengthen our faith. All this means that a wise worship leader will be more concerned about biblically faithful lyrics than a cool harmonic progression or a musically complex arrangement. Tomorrow, Iâ€™ll share a few more thoughts on combining music with biblical truth, as we continue to look at the role of the corporate worship leader. Thanks for reading. Iâ€™m in the middle of series on the role of a congregational worship leader, and Iâ€™ve been camping out on how music works in worshipping God. Yesterday I addressed how one of the primary functions of music is to help us remember Godâ€™s Word. Today, Iâ€™d like to share another way music serves us in worshipping God. Colossians 3:16 tells us that weâ€™re to sing psalms, hymns, and spiritual songs with thankfulness in our hearts to God. God is not interested in mere lip service. It dishonors him. But heâ€™s not looking for raw emotionalism either, that is, seeking emotion for its own sake. We sing to express thankfulness FOR something. That â€œsomethingâ€ is the word of Christ, which dwells in us richly as we sing. Worship leaders must teach their people the difference between being moved by music and being moved by the beauty of Godâ€™s glory in Christ. That is to say, singing is an ideal way, a God-ordained way of combining objective truth with thankfulness, theology with doxology, intellect with emotion. Commentators acknowledge that no one can say for certain what Paul meant by â€œpsalms, hymns, and spiritual songs.â€ At the very least, it implies some kind of musical and lyrical variety. However, Iâ€™ll save those thoughts for a later series. Next Tuesday, Iâ€™ll share thoughts on how singing helps us reflect Godâ€™s glory. How does singing reflect God's glory? I can think of at least three ways. First, singing glorifies God by expressing the unity Christ died to bring us. Of course, gathering in the same room at one time expresses unity, as does reciting a creed together. Music both intensifies and demonstrates our appreciation of that unity. Iâ€™ve been told on more than one occasion that large â€œworship eventsâ€ would bring unity to the Christians in a city. While such events might have some place in encouraging Christians, we need to remember that music expresses, not creates, unity among Godâ€™s people. We are one because Christ has destroyed the dividing wall that once separated us, due to our sin. When we donâ€™t understand this, we argue over which musical style is going to be the voice that â€œunitesâ€ us. We canâ€™t look to music to do what only the Gospel can do. Second, singing glorifies God because all three persons of the Trinity sing. In Zephaniah 3:17, the Father exults over us with loud singing. Jesus sings the Fatherâ€™s praise in the midst of the congregation in Hebrews 2:12 (quoting Psalm 22:22). The immediate result of being filled with the Spirit in Ephesians 5 is singing and making melody to the Lord with all our hearts. Our God is a singing God, and we reflect His glorious nature when we lift up our voices to sing His song back to Him. Third, singing glorifies God because it anticipates, in a faint but genuine way, the song of heaven. When God pulls back the curtain on heavenâ€™s activities, we find that heaven is a very musical place. The living creatures and the elders sing a song in Rev. 5:9 celebrating the Lamb who was slain. They are eventually joined by every creature in heaven and earth. The 144,000 sing a new song before the throne in Rev. 14:1-3. Those who conquered the beast sing the song of Moses and the song of the Lamb in Rev. 15:3. Our songs on earth are a sweet foretaste of what is still to come. But at this point, our attempts to worship God with music are limited. Weâ€™re hindered by insufficient hours, restricted mental capacity, and physical weakness. We don't have the time, the mind, or the strength to worship God the way He deserves to be worshiped. But that's not how it will always be. A day is coming when every limitation will be removed and we will celebrate before the Father and the Lamb in the power of the Spirit for endless ages. Wise leaders seek to prepare Godâ€™s people for that time by combining music with biblical truth NOW in a way that feeds our souls with the glories of God and heightens our anticipation for seeing our Savior face to face. An effective corporate worship leader, aided and led by the Holy Spirit, skillfully combines biblical truth with music...to do what? We'll look at that tomorrow. To magnify the worth of God and the redemptive work of Jesus Christ. David invites us in Psalm 34:3: â€œOh magnify the Lord with me, and let us exalt His name together.â€ When people walk into church service, they might be magnifying all sorts of things, from the superficial to the serious â€“ deadlines, unpaid bills, an unkind comment from a friend, a lab test for cancer that came back positive, a â€œthump-thumpâ€ sound the car is making, the championship game this afternoon, a rebellious child, some besetting sin, or a million other details of life. What we magnify tends to absorb our time, energy, thoughts, and hearts. As we begin singing, I want them to help them remember that God is bigger than their problems and their joys, greater than their sorrows and their successes, more significant than their testings and their triumphs. Because we lose perspective so easily, I want to make God â€œbigger in their eyes.â€ God doesnâ€™t become bigger â€“ it just seems that way. Itâ€™s not unlike the looking up at the stars at night. To the naked eye they appear like small, twinkling, harmless lights hanging in the sky. However, when we look a through a high-power telescope, we find out what they really are: massive spheres of raging fire, millions of times larger than the planet we live on. What a difference in perspective! The stars donâ€™t change, but our appreciation of them does. Of course, knowing how big stars are may not impact our lives much. But knowing how great God is will. So how do we magnify the worth, value, and significance of God in our hearts, minds, and wills? Following the example of the psalmists, Iâ€™ve found it helpful to think of three categories about God to focus on: His Word, His worthiness, and His works. I had a discussion the other day with a friend about whether itâ€™s ever appropriate to praise Godâ€™s Word. He grew up in a culture where he Bible knowledge was an end in itself, apart from a relationship with the Savior it revealed. Bad experiences notwithstanding, God encourages us to thank and praise Him for His Word. God is a speaking God whose primary means of relating to us, outside of the Incarnation, is words. So we join the Psalmist in trusting in the God â€œwhose word I praise; in the Lord, whose word I praise.â€ (Ps. 56:10) The longest song in Scripture (Psalm 119) is a glorious rehearsal of the ways Godâ€™s Word has affected, changed, shaped, encouraged, and ruled our lives. So a wise worship leader isnâ€™t primarily concerned about coming up with the most creative musical arrangements, the best video images, or some engaging personal anecdote. He makes sure that Godâ€™s Word is sung, proclaimed, reveled in, preached, explained, and treasured â€“ all so that God Himself might be magnified in our eyes. One of the problems we have in worshipping God is forgetting why He is so WORTHY to be worshipped. When we do, our minds tend to shift into neutral and we end up mouthing words that weâ€™re barely thinking about. â€œWe must not allow ourselves to be satisfied with vague ideas of the love of Christ which present nothing of his glory to our minds" (John Owen, The Glory of Christ, pg. 54). Godâ€™s character is intimately connected to His actions. We donâ€™t worship some spirit-being who has no relationship with the physical world. God has acted in history and redeemed us to proclaim the excellence of all that Heâ€™s done. He created the worlds with a word, He rules over the universe, He judges the nations, He sustains every living thing, He keeps the planets in their orbits, He watches over our affairs and provides for us. But by far the greatest of all Godâ€™s deeds is the giving of His only Son to die as our substitute at Calvary. Thatâ€™s why as we gather to worship God, a primary focus needs to be the redemptive work of Jesus Christ. I'm at the part of my proposed definition for worship leaders which says their task is to magnify the worth of God and the redemptive work of Jesus Christ. Certainly there are many aspects of God's worth and works that we can and should dwell on as we sing His praise. He's our Creator, our Deliverer, our Father, our Guide, our Shepherd, and Shield. But this side of the cross, we find the glory of God in the face of Jesus Christ (2 Cor. 4:6) and his substitutionary sacrifice for our sins. This is what Paul considered of first importance (1 Cor. 15:1-4), what Peter encouraged us to remember (2 Pet. 1:9), and what is to richly fill our singing (Col. 3:16). Every time we gather to worship God, the saving sacrifice of Jesus Christ must be gloriously displayed for everyone to see and benefit from. Here are four brief reasons why both in word and song, our Savior and His redemptive work must be central when we gather to exalt God. We wouldnâ€™t even be worshipping God if Jesus hadnâ€™t endured Godâ€™s wrath against our sin and purchased us for His Fatherâ€™s glory. Iâ€™ve seen more than one church post a want ad for a worship leader who can lead a church â€œinto Godâ€™s presence.â€ Tough job. Biblically speaking, no worship leader, pastor, band, or song will ever lead us â€œinto Godâ€™s presence.â€ At Calvary, Jesus tore down the veil that separated us from Godâ€™s presence. His saving work is complete and will never be repeated â€“ only joyfully recounted. Nothing against skill, practice, complexity, nuance, musicianship, or sincerity, but only the finished work of Christ makes our offerings of worship acceptable in Godâ€™s eyes. What a relief! The hosts of heaven never seem to get tired of extolling the Lamb who was slain. Should we? At some point I want to talk about the blessings of Gospel-centered worship and the effects of neglecting it. But weâ€™ll save that for another time. In the mean time, I encourage you to glory in the Redeemer whose praise will never cease throughout eternity. Ideally, as I stand in front of the church to lead them in singing Godâ€™s praise, every person is ready to sing with all their might - minds focused, hearts engaged, wills set to proclaim Godâ€™s glory. Unfortunately, itâ€™s a fallen world, and people often come into a Sunday meeting bearing the battle scars of their war against the world, their flesh, and the devil. In that situation, how do I help them worship God? What do I do when I sense that people arenâ€™t benefiting from this focused time of remembering Godâ€™s greatness and covenant mercies? Well, maybe I should start with some of the things I DONâ€™T want to do (but have done many times over the yearsâ€¦). When I expect people to instantly respond to my direction without giving them biblical reasons to do it, Iâ€™m often just arrogantly thinking that people arenâ€™t as spiritual as me. If Iâ€™m magnifying the worth of God and the work of the Savior myself, Iâ€™m in the best place to motivate others to worship God. Theyâ€™ll see it on my face, hear it in my voice, and observe it in my physical expression. I'll work hard to paint a compelling picture of Godâ€™s glory in Christ, depending on the power of Godâ€™s Spirit to open our eyes to His beauty, His greatness, and His goodness. As I give myself to THAT task, people will be motivated by Godâ€™s grace to do the same. Yesterday I talked about the issue of motivating the church to worship God. Judging from the comments yesterday, Iâ€™d guess that this is an issue for more than a few leaders. Kevin asked, â€œIf you're leading worship and the people don't seem motivated to respond in worship, is that your fault?â€ The simple answer is no. It is every individualâ€™s privilege and responsibility to give glory to God regardless of what theyâ€™re going through or who is leading them. But leaders can do things to hinder people praising God or refrain from doing things that could encourage them. â€¢ The people seemed excited. â€¢ The music really flowed. â€¢ Everybody was in tune. â€¢ Everyone was raising their hands. â€¢ No one was raising their hands. â€¢ We nailed that new arrangement of Blessed Be Your Name. â€¢ Everyone sang at the top of their voices. â€¢ Quite a few people came up to me afterwards and said they were really blessed. â€¢ The joint was jumpinâ€™. Many of these statements MAY be an indicator that people are worshipping God, but none of them contain any objective standard that we can use as a measure. People can be excited for all the wrong reasons. Music can excite emotion apart from truth. Musical excellence isnâ€™t the same thing as worship in spirit and truth. People can act a certain way simply our to rote or because they fear man. My goal when I lead people in worshipping God is to display, as clearly as possible, the magnificence, greatness, supremacy, and grace of the one true God, revealed to us in Jesus Christ. I want to use music, words, and physical posture to draw attention to His Word, His deeds, and His worthiness. Thatâ€™s something that I can purpose to do, prepare to do, and evaluate after Iâ€™ve done it. These are just a few thoughts that come to mind. Next Tuesday, Iâ€™ll move on to the next part of the definition Iâ€™ve been unpacking. Maybe some day, Iâ€™ll even finish this series. Today, Iâ€™m going to unpack the next phrase: To join him in proclaiming and cherishing the truth about God. As I mentioned last week, an effective corporate worship leader invites others to join him in what he is already doing â€“ exalting the Savior with his whole being. That truth has led some use the term â€œlead worshipperâ€ to describe the person who leads public praise. We arenâ€™t leading others out of theory, or guesswork, or pointing them to something we have no experience in. We are inviting them to join us in what we ourselves are doing. Proclaiming what is true about God is often underrated. We think we know enough facts about God and now just need to â€œexperienceâ€ Him. Or maybe we think that we donâ€™t need to be reminded of what we already understand. Our hearts reveal something different. Every time we give in to fear, anxiety, envy, lust, anger, or any sin, we are functionally saying that weâ€™ve forgotten who God is. Proclamation helps set our minds and hearts right, and reminds us of the convictions and realities that guide and govern our daily lives. The world is constantly proclaiming lies to us â€“ â€œGod doesnâ€™t exist. Itâ€™s all about you. Sin has no consequences. This is all there is. The more you own, the happier you are.â€ We gather to declare to ourselves, to each other, and to God what we KNOW to be eternally true. There is one God. We have rebelled against Him. He sent His Son to die in our place for our sins. We have forgiveness and peace with God through Him. He is sovereign over the universe and the details of our lives. But our aim isnâ€™t simply to proclaim the truth about God, but to be passionate about it. We arenâ€™t simply aware that Jesus is our Savior, we are amazed. We arenâ€™t just checking in with God; we are cherishing our relationship with Him. That kind of emotion isnâ€™t something we put on or work up. It springs up naturally as we take time to reflect on this amazing God Who has created us for His glory. One of the common mistakes I think we can make as worship leaders is to pack our time together so tightly that no opportunity exists for reflect on or be affected by the truths weâ€™re proclaiming. That's one good reason for short musical interludes between verses or songs. Both proclaiming and cherishing are important. May we never be satisfied with either mere intellectual knowledge of Godâ€™s greatness or ungrounded enthusiastic passion. Today, Iâ€™m going to share a few thoughts on that last line. Worship doesnâ€™t begin when the singing starts, nor end when the music stops. We donâ€™t â€œdo worshipâ€ in a meeting, nor compartmentalize it to the singing section. Romans 12:1 clearly says that worship is what we do with our lives. Biblically speaking, there is no sacred/secular distinction in our lives. All of life is meant to be lived in the presence of God, for the glory of God. Our words and actions should constantly proclaim the sovereignty, worthiness, and mercy of our crucified and risen Savior (see also 1Pet. 2:4-12 and Heb 13:15-16). My goal as a worship leader is not simply to magnify God at the moment, but to inspire worshipers to spread the sweet aroma of the Saviorâ€™s glory in the church and beyond through their everyday words, actions, and choices. So how do we help people see that worship is more than a meeting? One way is to reference ways other than singing that we can bring praise to God. Serving, giving, and evangelizing, to name a few, are all acts of worship that take place outside a Sunday gathering. Often, at the end of a time of singing, Iâ€™ll ask God to help us remember every day the realities weâ€™ve been proclaiming. We might also draw attention to the fact that God doesnâ€™t change when weâ€™re in the midst of challenging times. While acknowledging the struggles, problems, and weaknesses we all deal with, we must remind ourselves that God is a very present help in time of trouble. (Ps. 46:1) God is just as worthy of worship when our car breaks down as He is when we meet on Sunday morning. I was going to entitle this post â€œFinal Thoughts,â€ but thatâ€™s probably not going to happen. One of the reasons I started this blog was to explore this role in an ongoing way. But this does mark the end of the series on the role of the corporate worship leader. Really. If you're a musician who is responsible to lead others in praising God, I pray you've been served by this series. I'm grateful for those of you who have taken the time to post an encouraging comment, expand upon my thoughts, or ask questions. We need to continually ask ourselves if what we're doing is lining up with Scripture. On most Wednesday mornings I have the joy of meeting with the 19 men who are currently in the Sovereign Grace Pastorâ€™s College. These men have moved to Gaithersburg, Maryland to spend 9 intense months of study preparing for future or continued pastoral ministry. Each week, one of the guys is assigned to lead us in corporate worship for about 25 minutes. We then take 15-20 minutes to evaluate how their leadership was effective, and where it could have been better. It's always a rich time. Some of the students have no musical ability. One is actually tone deaf. And yet I have each one of them lead the class at some point during the year. Why do I do that? We gather to magnify the glory of Christ, not the glory of our music. We can still tend to think of worship and music as synonymous. Theyâ€™re not. Anyone who knows the Savior, loves Godâ€™s Word, and has some gift of leadership, can lead a congregation in thanking and praising God for His character and His deeds. They can recount Godâ€™s mercies, describe His great power, and pray for Godâ€™s name to be exalted in our lives. They can share testimonies of Godâ€™s faithfulness, lead us in confessing our sins, and remind us of the glorious Redeemer who endured the wrath of God in our place. All of that can be done with zero musical knowledge. Music simply helps us remember and respond to who God is and what He has done. But the object of our affections is to be God Himself, not our songs. To extend a John Piper quote, people are starved for the greatness of God, not the greatness of our music. My prayer is that God would raise up many more leaders of congregational worship who understand the difference. Thank you very much for such a clear, well-thought-out and lived-through sharing of worshipping God and leading others to do so. It gave great encouragement and affirmation for God's church and this member of it. May He be praised. wow..what an awesome article..I emailed this to some of the leaders at my own church....you spoke out to my heart and I pray that those of us who read this article will take time to think on all you wrote.....and remember that Jesus is our great worship leader and we are to flow with Him.....it is there that He will will meet us and be ever so pleased with our praises....and the lost will have a hunger for Him too! Thank you for such a well written and prayerfully thought-out article on 'leading worship'/'worship leader'. It has caused me to look closer at my role and to evaluate what I do while I'm leading the church in singing and song and the type of music I choose. The Lord bless you! Thoughtful, challenging and inspiring. Thanks for taking the time to pen these articles and share them with us. May God bless you and all "Worship Leaders" in your efforts. It is wonderful to be able to read an article and know that the author understands what a worship leader feels. I have been searching for the "truth" about worship, and I must say that this article has blessed me. Please continue to let God use you. You are a blessing to the Kingdom of God. This was a great thorough explanation of what true worship leadership is. All of the questions that I have had in the past were answered through this essay. Thank you and God bless. I am writing this from Edinburgh in Scotland, as one of the worship leaders in a major church in the city. I want to thank you for your time in researching this article. It is bookmarked on my computer and I know I will continue to return to it to be challenged, encouraged and blessed by it many times. I know our congregation will be the more blessed for it. Great article...it touches many things we are struggling with in our church now. I do have a question....would you consider the worship team (musicians, backup vocals) also congregational leaders? DO you feel that in order to serve on a worship team one should be a Christian? These are the tough questions we are dealing with....I would appreciate insight. A search of the OT & NT will produce little data on "worshipâ€ or â€œworship services." Despite the lack of revelation, â€œworship" activities are all the rage. The weightier matters of obedience, mercy, righteousness, faithfulness and justice are neglected. Instead of a 24/7 worship lifestyle (or a 16/7 with sleep removed), the emphasis is on the one or two hours of activity in the assembly. Thank you so much for this article. I think it would be a great help to those with whom we work in missions in Ecuador. May we have permission to translate it into Spanish? I have been studying the role of music ministry in the church for my own personal development. I have to say this is the best break down I have ever read! I sing and I find myself nervous wondering if i made an impact in the peoples lives. A mess!! My focus is all wrong! This helped me so much! You are a gift and I bless God for giving you this insight and thank you for sharing. I am blessed to have read this website blog and grateful that you took the time to post it. I believe many peoples lives are going to change that are in the ministry of leading God's people in Worship. Yet I also believe that it's going to be a blessing to those that are just out in the congregation in letting them know the true meaning behind worship and that AMEN it's not because of the songs we sing, but because of our hearts toward God. He is truly worthy to be Praised 24/7 in all that we do in Jesus Precious Name. God bless you in everything you do and may God pour His blessings upon you as you continue to be a blessing to His children. 1 Romans 12:1 is a scripture about serving, not Christian worship. Check the Greek. This commonly repeated error has done a lot to mis-cue out understanding of worship, resulting in the "worship is a lifestyle" craze. Time to fix this one. 2 Worship is never commanded by God in scripture. By others, yes. By God, no (except in the sense that all scripture is God-breathed). It is a freewill act of love to God. You can think worship to death, and end up with a baffling array of rules and regulations. Do you remember the little kids who praised Jesus? Not a single theology degree amongst them, just beautiful praise. Truth is important and powerful, but you can be right and cold. Which do you think God prefers? I like the idea of both at the same time. 3 Music is not a human invention. God sings, scripture says. I assume this means it pre-dates we human beings. It is a gift that God has also given to the birds, whales etc. He expects us to use and explore music, and if we fail, the rocks will take our praise opportunity. Rock music! Oh no! Haha. I hope you enjoy thinking about these things. Blessings. John 4: 23 But the hour is coming, and is now here, when the true worshipers will worship the Father in spirit and truth, for the Father is seeking such people to worship him.